One day, an old donkey fell down into a deep hole. The animal couldn’t get out, and the farmer tried his best to figure out how to get his donkey out of the hole but he also couldn’t. Finally, the farmer gave up and decided to bury his donkey alive in the hole. The farmer called a few friends to come over and help him burying the donkey. They all started shoveling dirt into the hole. 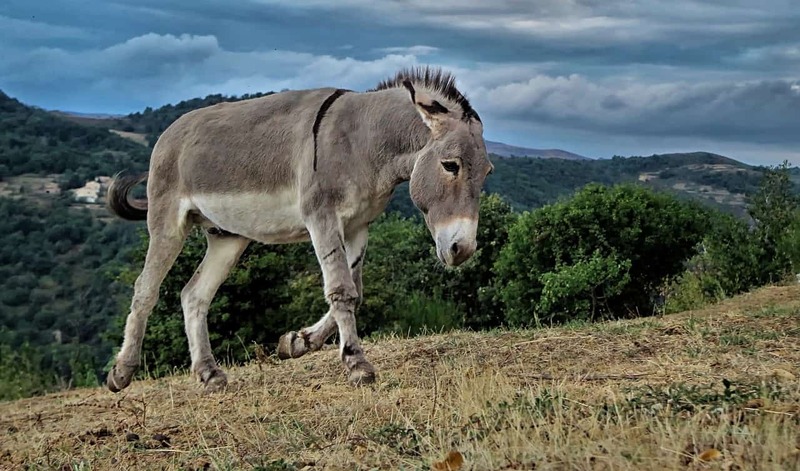 After a while, they stopped to take some rest, and they were all surprised to see that, whenever dirt was piling up on the donkey’s back, the donkey would shake it off and take a step up. They all continued to shovel dirt on top of the animal, as the donkey continued to shake dirt off its back, then take a step up. After a few minutes, as more dirt was filling the hole, the donkey was able to step up over the edge of the hole and got free. During our life, as we go through some difficulties, we should always figure out how to get over difficulties and move on. We should never give up, and we should never allow challenges to discourage us. ← The millionaire and the tip! I like this story! Everything is possible! Never give up! I love the moral of this story! I really needed to read this. Very inspirational!! Thank you, Helena! I am very glad that you liked it! I love this story – what a great outlook and approach to life! I agree! Never give up. This is a fantastic story!